New Delhi, India, November 24, 2014: Mi India, today launched its 5.5-inch smartphone, Redmi Note, which comes in a 4G version. Redmi Note 4G is Mi India’s very first 4G device, tailored specifically to India’s 4G network. It is being launched in partnership with Bharti Airtel (“Airtel”), India’s largest telecom services provider. As part of the Airtel partnership, Redmi Note 4G will retail at select Airtel stores in Delhi, Mumbai, Bangalore, Kolkata, Hyderabad and Chennai. 4G version of Redmi Note will be sold through Mi India’s e-commerce partner, Flipkart, at the link www.flipkart.com/Mi. The 4G device, which will retail for Rs. 9,999/-, is a dual band LTE phone which will work on both TDD-2300 MHz and FDD-1800 Mhz 4G frequency bands. 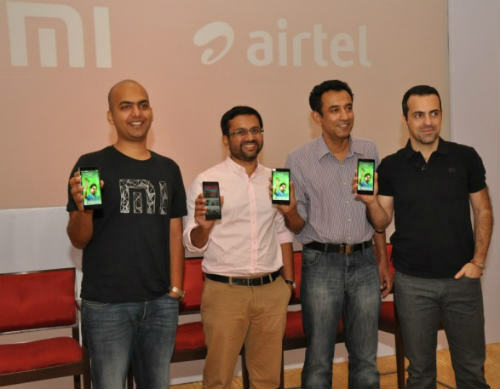 Redmi Note 4G will be available in Airtel stores by end-December. Customers will need to register online before visiting Airtel stores to purchase the device. Registration will start mid-December on www.airtel.in/Mi, with more details coming soon. All Redmi Note devices will be supported by over 35 Mi India service centres across the country, including exclusive Mi service centres in Delhi, Bangalore and Kochi to ensure a robust after-sales service and a hassle-free customer experience.